Color: Available in so many colors like: Black, Grey, Blue, White, etc. Storage Capacity: Available in so many sized like: 750L, 1000L, 1500L, 2000L, etc. 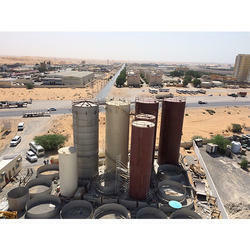 We are engaged in providing storage tanks that are functioned for storing liquid products in large quantity. Our tanks are widely used for storing liquid products between production, transportation, refining, blending and marketing. We offer stainless steel Storage tanks. Made using quality grades of raw material, these ensure durability. Use of high grades of nickel avoids corrosion and offer the product desired durability and strength. Usage: Pharmaceutical Industry And Chemical Industry Etc. Backed by rich industry experience and market understanding, we are involved in offering a wide array of Pressure Storage Tank to our valued patrons. We are highly acclaimed in this industry for providing an optimum quality range of Storage Tank. 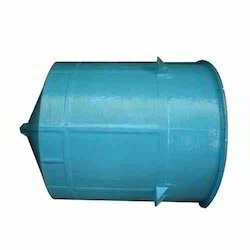 Being a leading firm in this industry, we are manufacturing a high quality range of Industrial Storage Tank. Capacity from : 50 Ltr. to 3, 00, 000 Ltr. In Al, M.S., S.S. Material.